Make your notes more actionable. 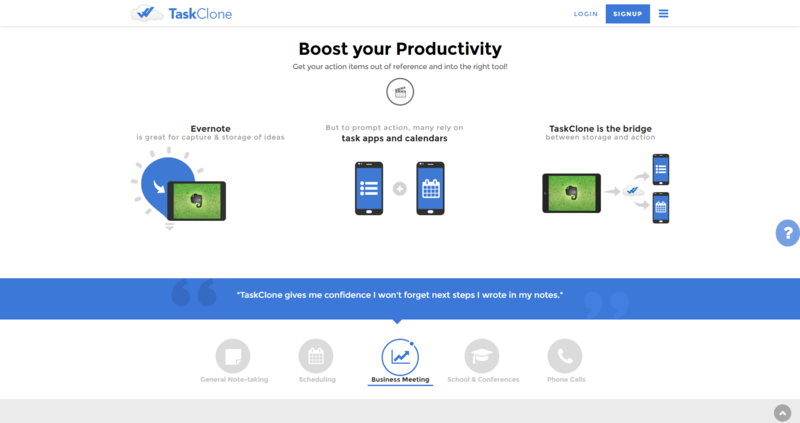 Instantly turn Evernote checklists, note titles and Reminders into tasks or events in your favorite apps, including Todoist, Google Calendar, Basecamp, Trello, Wunderlist and dozens more. 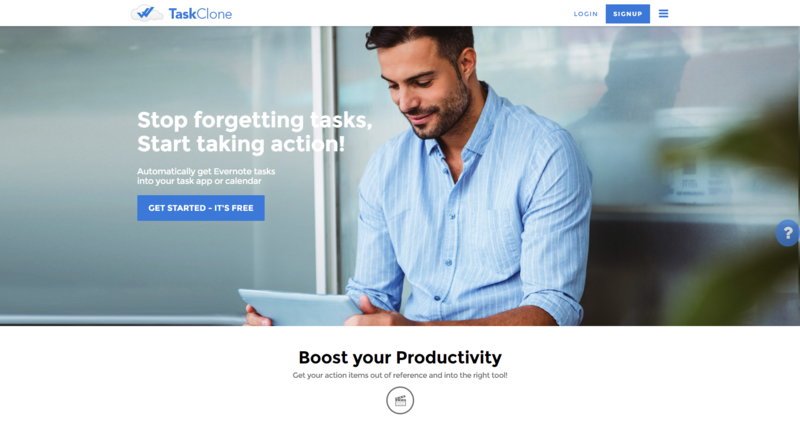 Evernote is great for capturing action items and TaskClone puts those items in your action tools where you can add due dates, reminders, assignees and more. Collect tasks scattered throughout your Evernote account into your favorite action tools to streamline your workflow. 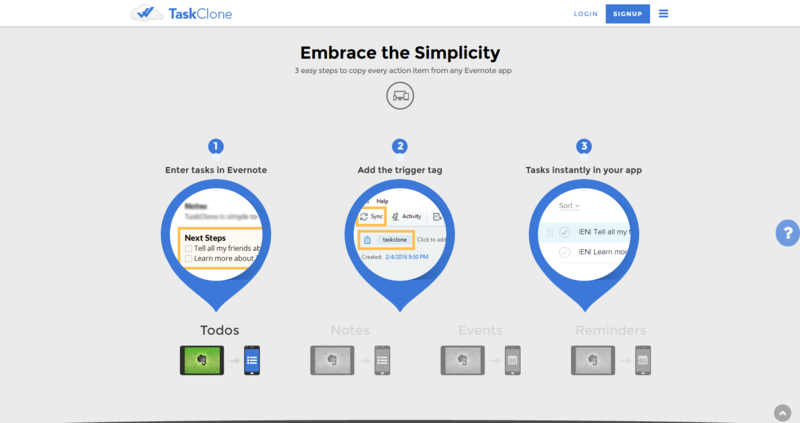 Use any Evernote version to take notes in meetings or elsewhere and TaskClone ensures action items are not forgotten. Never lose the context for your tasks as every task sent is linked back to the originating note. Schedule follow-up meetings in your calendar without leaving Evernote. 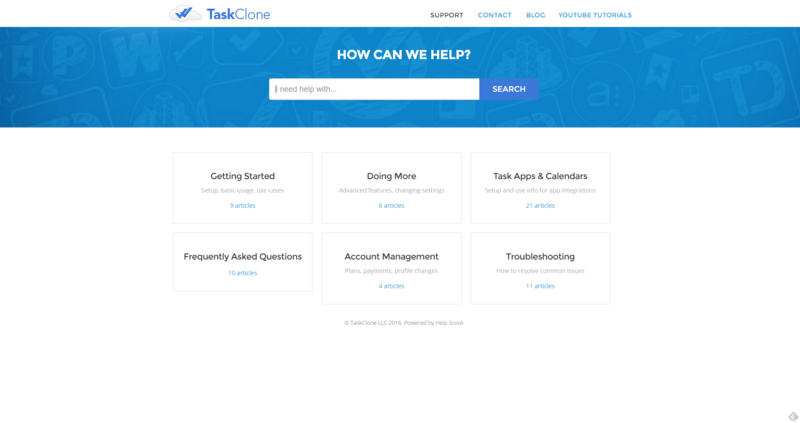 After an initial setup, TaskClone continues to track new tasks every time Evernote syncs.